Physical equivalence: intestines, digestive organs, vegetative system. Virgo (sign: ♍) is peaceable, cooperative, helpful, conscious, duteous and conscientious. They respect orderliness. Virgos are charming and know how to handle money, but they have an unsurpassable good sense for money. They have got a talent for financial equilibrium. In opposition to the two other zodiac earth signs, Virgos prefer to keep their property and like that. Capricorn and Taurus are bound for striving after more possession and money. Virgo persons keep some money and carefully add what they intend to select as their possession. Their appearance seems to be neither modest nor bold. They are diligent – somehow – tolerant and composed. They are also open-minded, sensitive and artistic but they like to criticize and moan likewise. Their strength is their weakness – they are good-natured with artistic bent – combined with warmth. Maybe they could be exploited for a while – then in return, they tend to be labile and deceitful. Virgo needs lists to analyze and check each point. Virgos do not innovate, but they are the type to improve means available and existing knowledge. The risk is suspicious to them. They act as they have acted already before and become stronger by that. Their part is to gain by calculated risk. Everything they do, they try to improve - or they think and talk about how to improve. Maybe this could make some coevals nervous. They compare plans and calculates by lists and many thoughts. Above all those analyses they appear somehow tedious and tardy – they think over before doing, and maybe it looks like they are lazy. Virgo persons think about saving. No miserliness but calculation helps you to comprehend what they are thinking about. For them, it represents no contradiction to be sensitive and calculating or better said in most aspects: diplomatic and detailed. 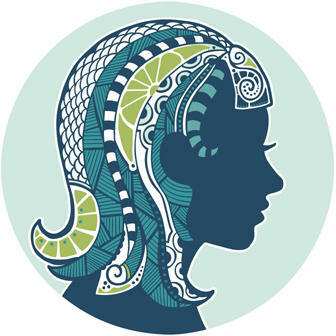 Virgo is strong – physically and psychically. But they know less fear and do not suffer from angst or existential fear – all in all they must be accepted with consideration of their attitudes and behavior. intellectual, enquiring, literate, comprehensive, vigilant, observant, modest, reliable, conscientious, analytic, detailed and tidy-minded. mean, petty, egotistically, calculating, undecided, inferior in status, tricky, servile, undetermined, dissatisfied and self-tormenting.